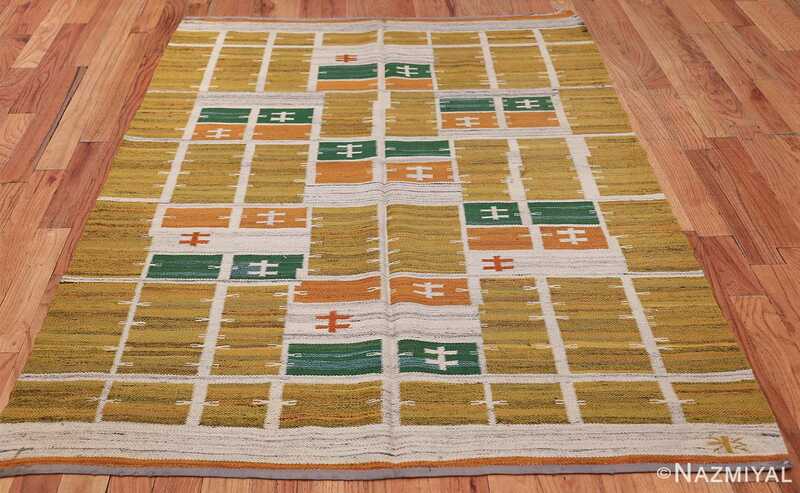 This beautiful mid-century Scandinavian rug is characterized by a its bright gold pallet, as well as its treatment of rectilinear figures. 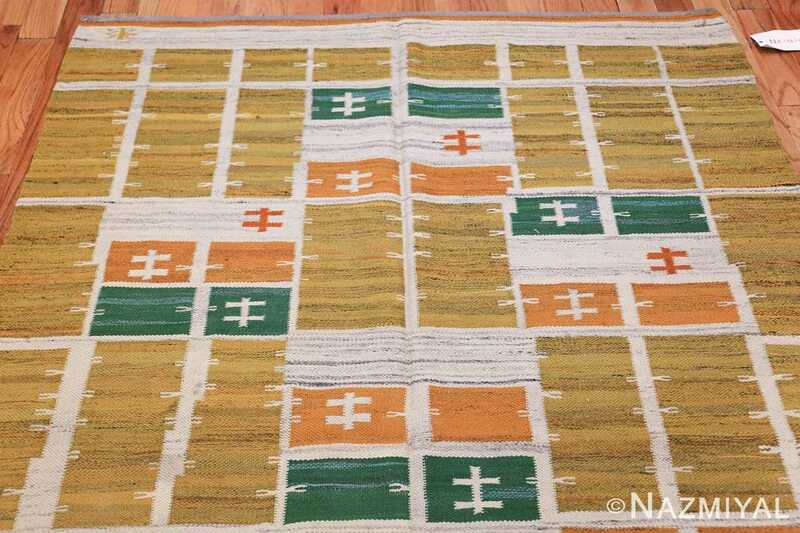 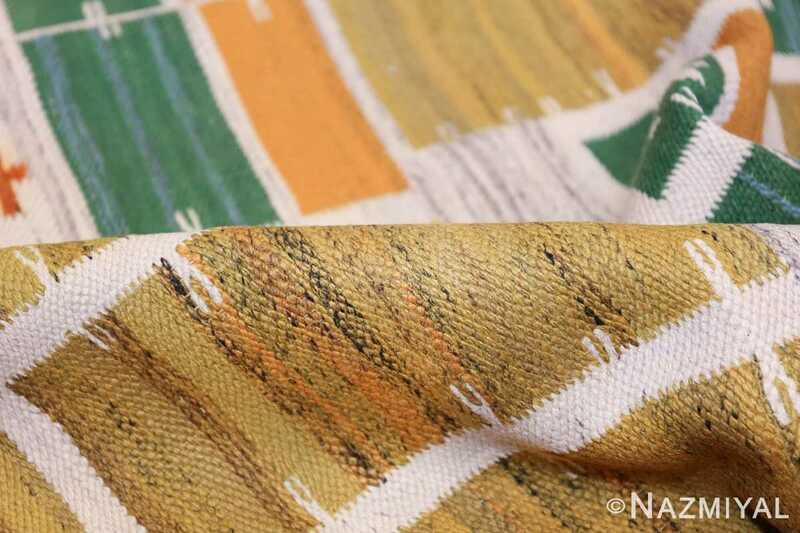 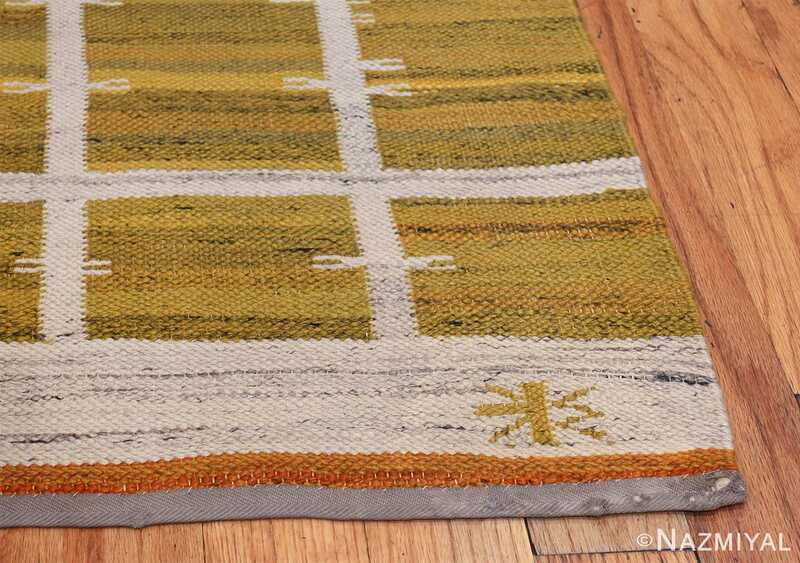 Vintage Scandinavian Swedish Gold Rug, Origin: Sweden, Mid-20th Century- Here is a charming vintage Scandinavian rug – a mid-century piece woven by the celebrated rug-makers of Sweden. 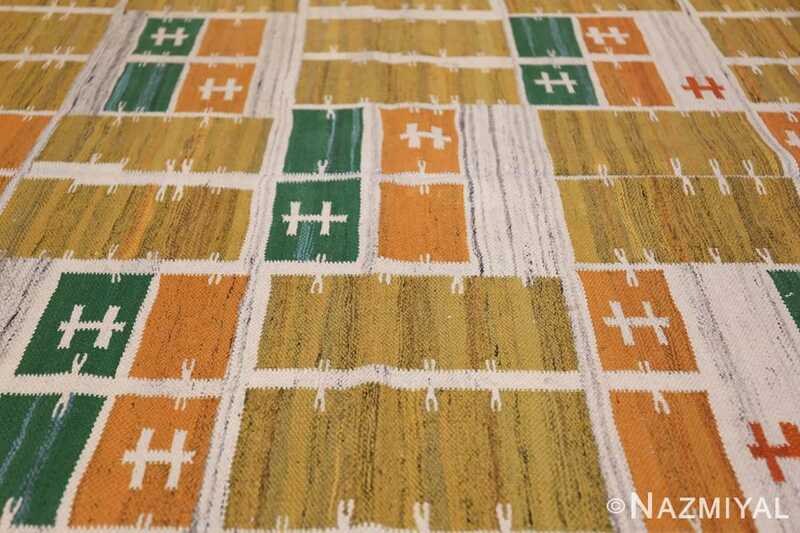 Swedish rugs such as this piece represent a brilliant coming together of traditional Scandinavian design preferences with the mid-twentieth century penchant for a certain type of simplicity of design. 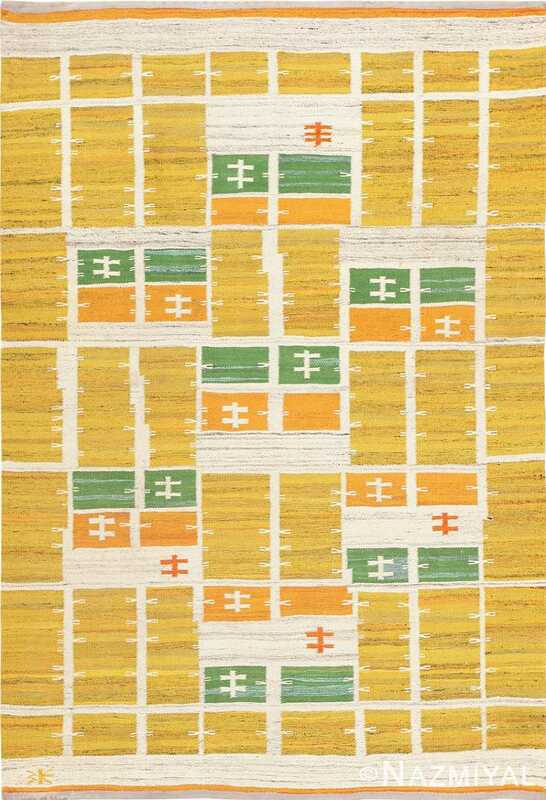 In this piece, we see this phenomenon of full display. 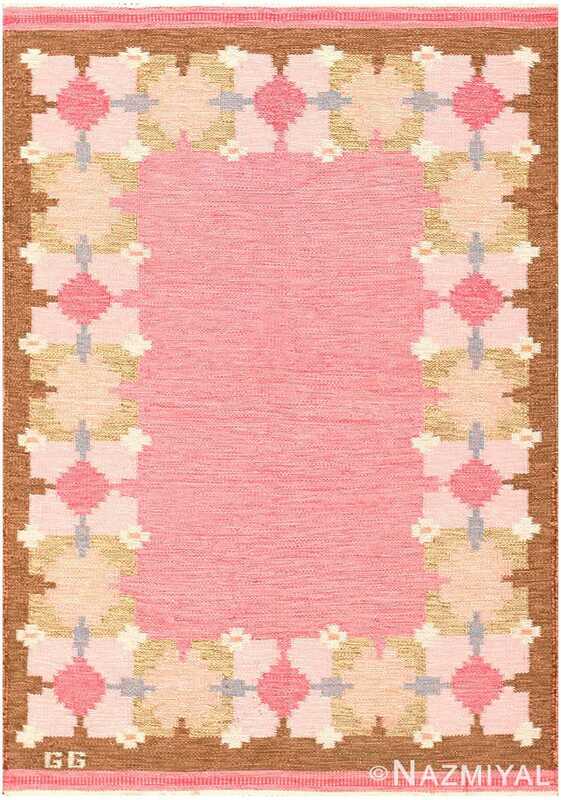 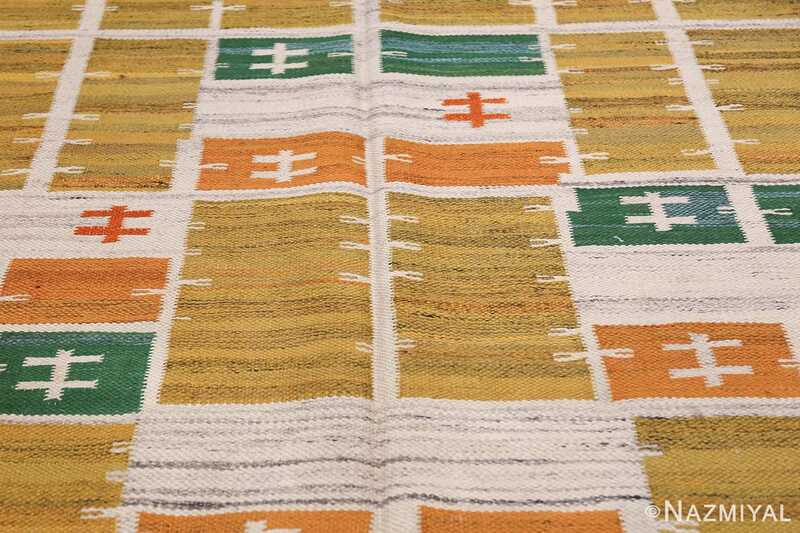 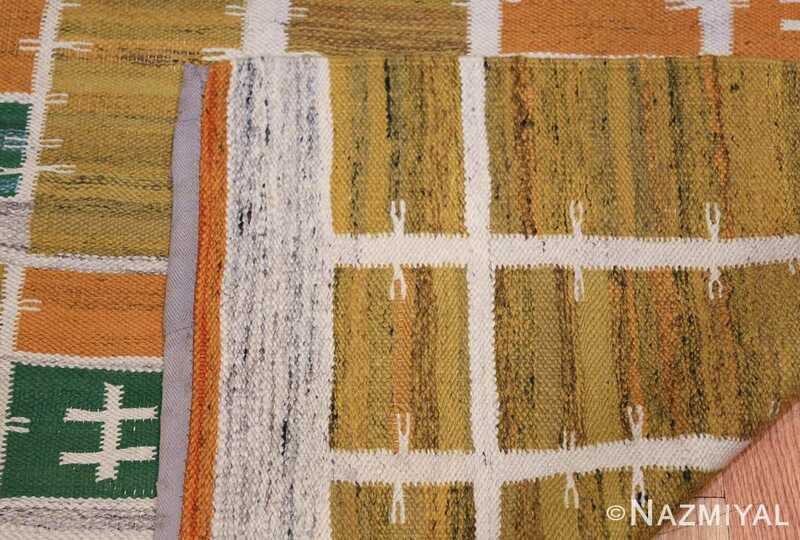 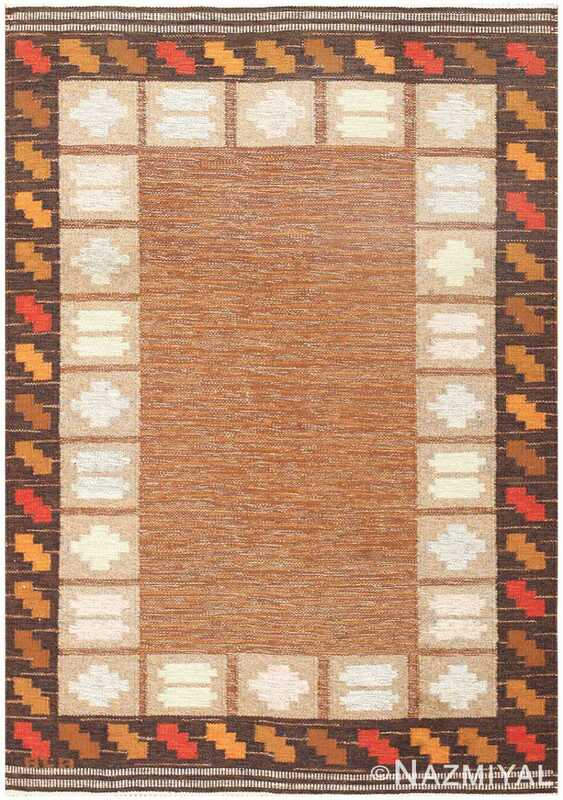 The latticework structure of the field of the rug is traditionally Scandinavian in principle, as are the neutral horizontal bands positioned as the upper- and lower- borders. 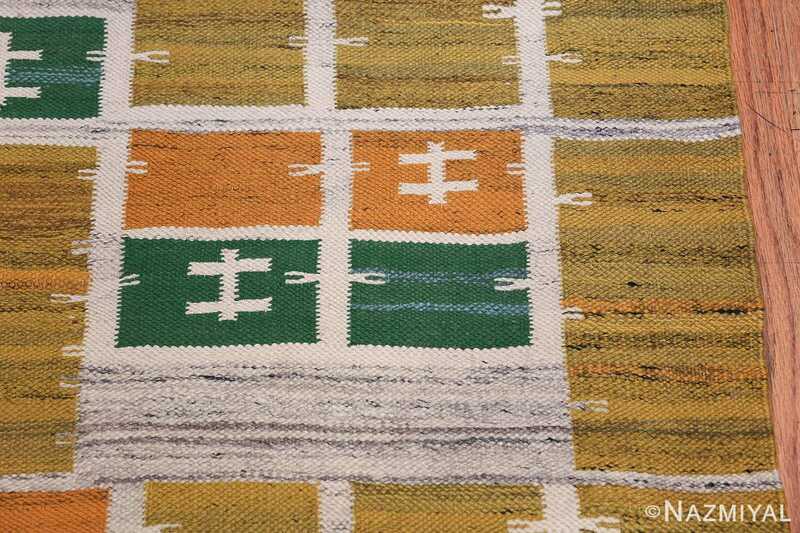 Further, the small double-crosses that appear at seemingly irregular intervals throughout the field are very much customarily Swedish in nature, though their presence in this piece is more suggestive of modernism than of traditionalism. 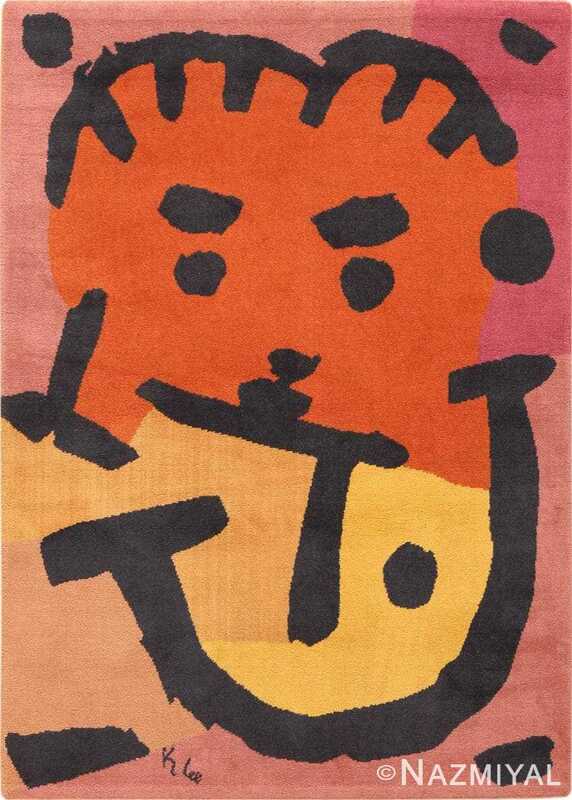 Indeed, the overall impression is one of dynamism, with the slightly asymmetrical latticework guiding the observer in unexpected directions. The double-crosses work almost as landmarks in this interpretation of the piece, as do the wide swaths of green, white and orange – all of which suggest a whimsical obeisance to traditional notions of composition and design.